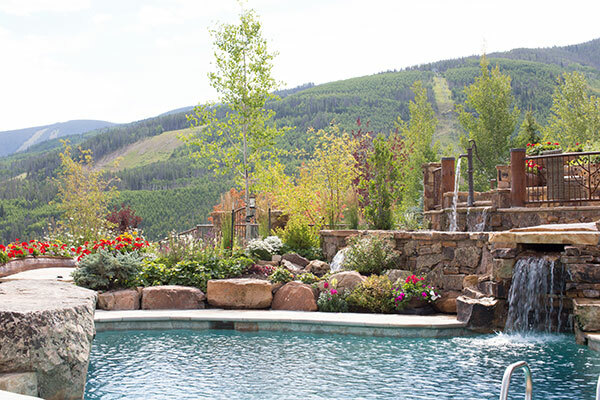 The client wanted a summer getaway that incorporated a saltwater pool, water features, lush flower gardens and fresh vegetables to be used for daily cooking. Another goal was to drown out the noise created from the highway. 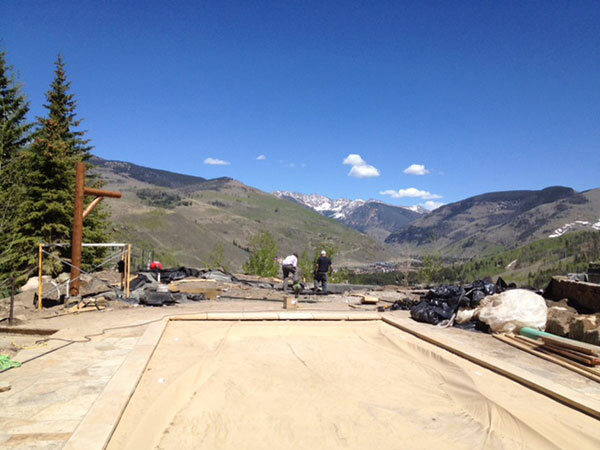 But there were several obstacles to overcome, including steep grades, a small lot and existing hardscapes. 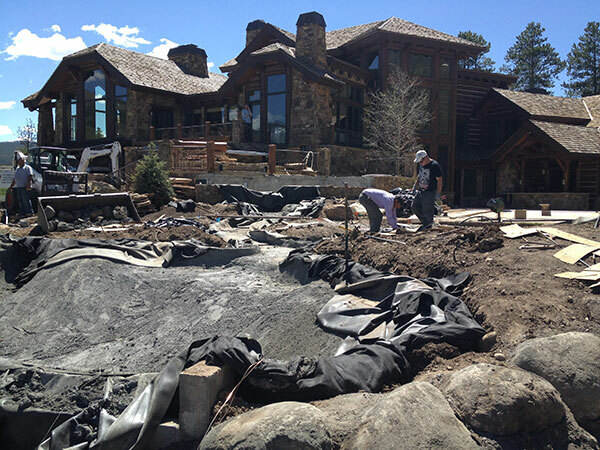 Still, the Rocky Mountain Custom Landscapes team prevailed. 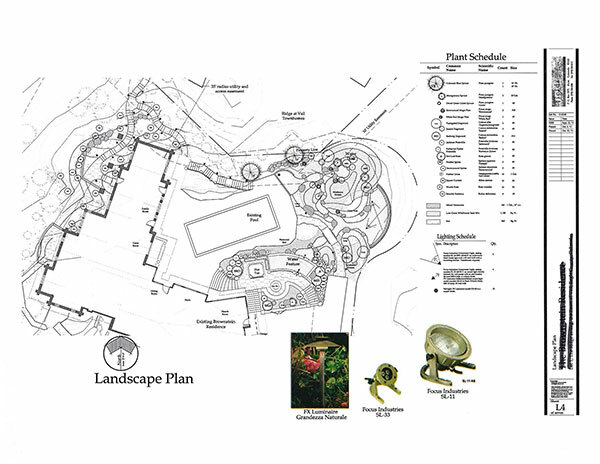 They designed flower beds to feature both flowers and vegetable plantings. 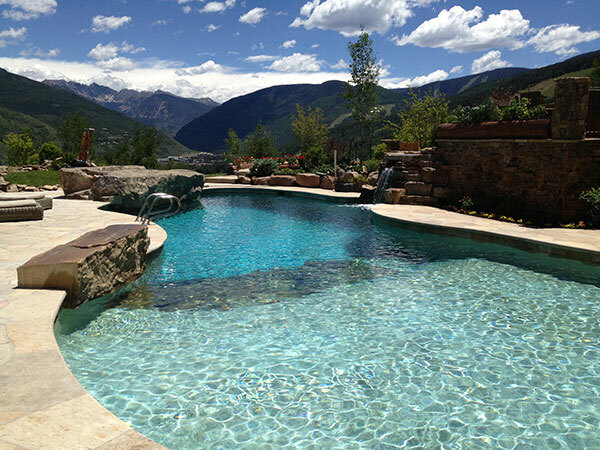 To help alleviate the traffic noise, they installed several water drops, causing sound to reverberate throughout the back pool area. To bring materials to the compact site, the team used a crane. Shoring and retaining walls helped to gain access with equipment. 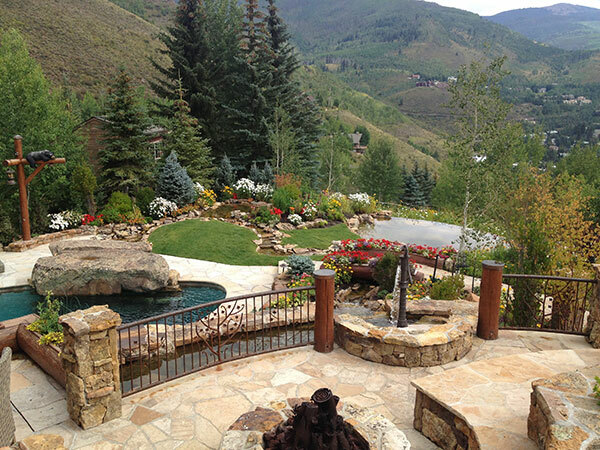 The project earned Rocky Mountain Custom Landscapes a 2017 Grand Award from the National Association of Landscape Professionals’ Awards of Excellence program. 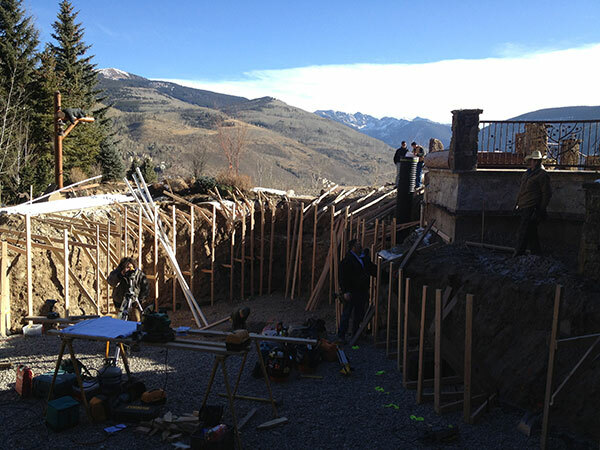 This project was a remodel, as seen in this before shot. 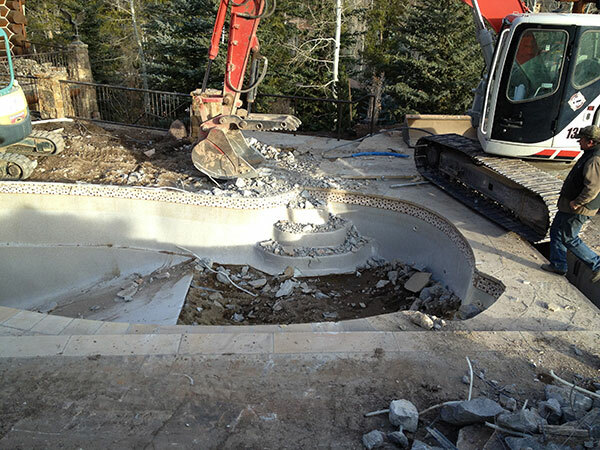 Sixteen tons of moss rock boulders were used inside the pool to bring a natural pond feel. Forming preparation. A 40′ negative edge at the bottom pond reflects the Gore Mountain Range Divide. 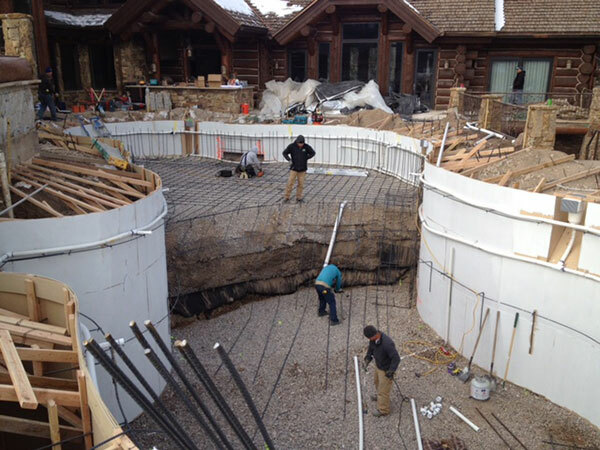 Form, rebar and plumbing for pool are underway. 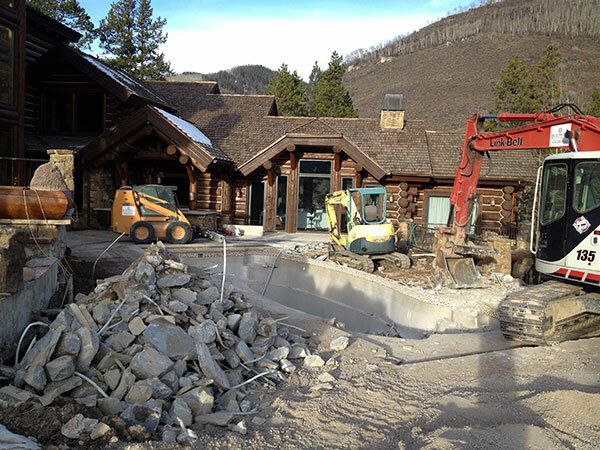 The front feature was built with 24 tons of moss rock, ranging from dry to 5′ boulders. 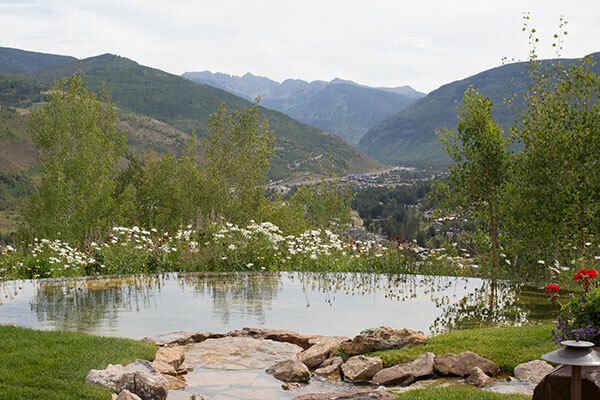 The water feature uses 20,000 gallons of water, with the water flow at 460 gpm. 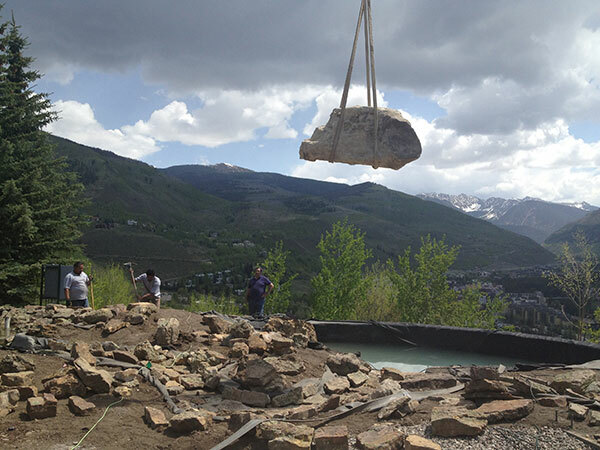 For the water feature, the team used 153 tons of natural moss rock, in sizes ranging from veneer dry stack to 6’ boulders. 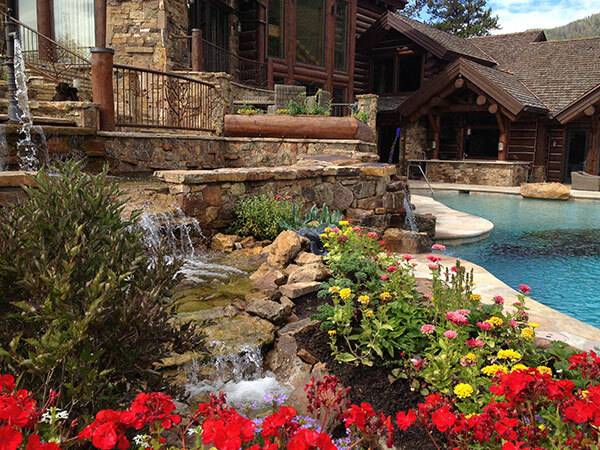 A view of the water feature and pool entry. 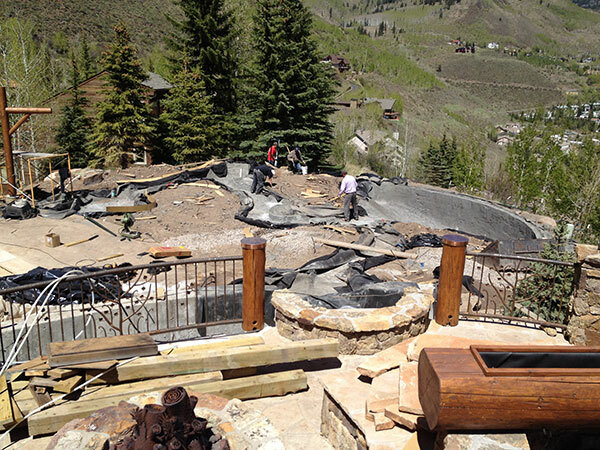 A view from the fire pit overlooking the pool and water feature. 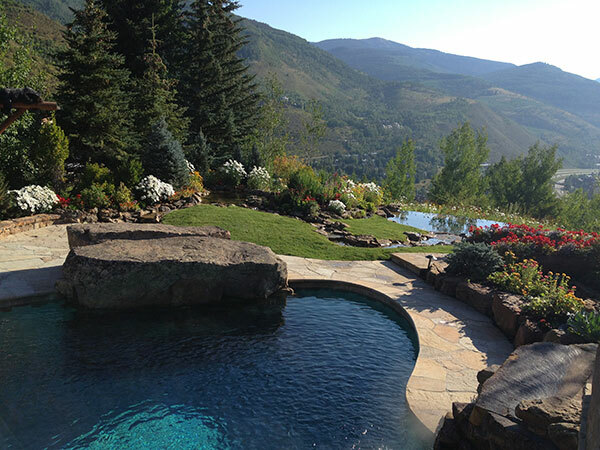 A diving rock is located in the pool with an outdoor shower on the left side, shaped like a bear. The diving rock is 10’x8′ and weighs more than 20,000 lbs. An old-fashioned well pump feeds the water feature. 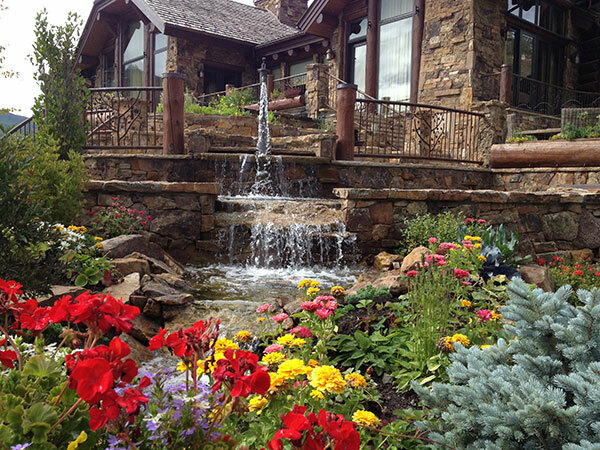 The flower beds overlook the water feature and pool. 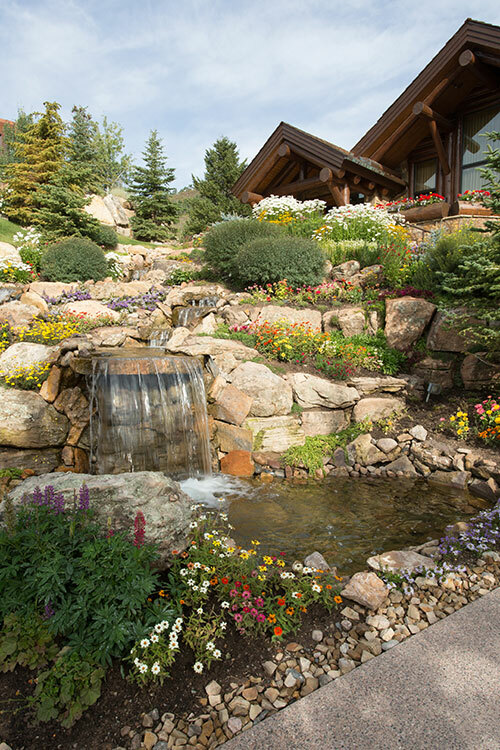 A separate waterfall was installed from the top pond; it is hidden in the wall and flows into the pool, running off the salt water pool system. Water flow is 120 gpm with a 1,500-gallon system.